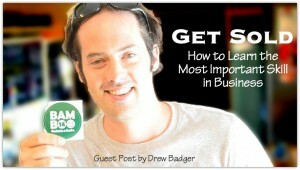 When talking with Drew Badger, it is soon obvious just how knowledgeable he is about marketing. 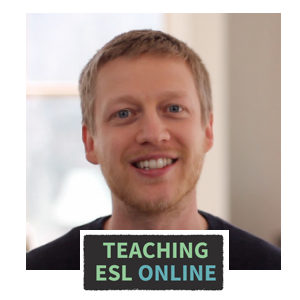 He has built a successful online course that solves a big problem for English learners: becoming conversationally fluent. He also has a very successful Youtube channel with over 200 videos. In this post he shares what he believes to be the most important skill in business. 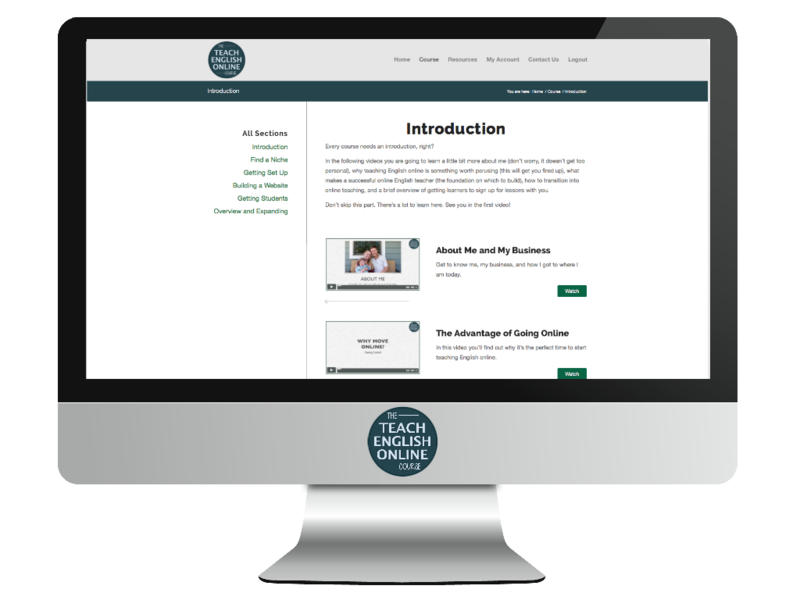 This is great stuff for anyone looking to get into the world of online teaching and product creation. Aspiring entrepreneurs usually fail because they build businesses backwards. They spend time coding websites, printing business cards, thinking up killer company names, designing products and a thousand other things that, while potentially helpful in the long term, just aren’t necessary when starting and proving a business. Not all businesses need websites. Not all businesses need physical stores. What all of them do need, however, is paying customers. So why not focus all of your attention on getting those first? I know the story of business failure intimately because I lived it when I first ventured online. I had this great idea for a book that could help Japanese children learn the alphabet in a few hours. I was convinced it was genius and spent the next year and a half designing the book, creating its illustrations, and even founding a company to get the book into online stores. In the end, I had a beautiful book available on Amazon.com, but very few sales. The odd thing is that I thought this failure meant I was doing everything right. I was incredibly frustrated, but undeterred because I assumed I was supposed to fail many times before I found success. If I could just work harder and come up with a better idea, I believed, I’d eventually reach the Promised Land. It took another two years – and many more failures – before I finally questioned the assumptions of the path I was on and decided to do something different: follow only the advice of those who’d actually built successful businesses. Money is a funny thing. Everyone seems to have an opinion about it, so it’s easy to be lead astray by well-meaning individuals who’ve never built successful businesses. I know I certainly had been. It made perfect sense to visit a baker if I had questions about bread, or consult a doctor if I had concerns about health, but, until only recently, that same logic never transferred to the realm of things financial. What I had begun to learn while studying great entrepreneurs was that the source of this disconnect in my brain was the mythology of business in popular culture. I take full responsibility for my failures, of course, but I was finally uncovering the foundation of the paradigm that stacked the odds of success heavily against me. The story of the dreamer who created something in a garage/basement/dorm room and turned it into a wildly successful business, though inspirational, carries with it two hidden, and extremely dangerous, messages. The first is that a clever individual created something independent of a problem requiring a solution people were willing to pay for. The second is that people should sell a product or service after creating it. (Yes, you read that right.) Together, these messages mutate the idea of business in the mind of the entrepreneur from the simple act of profitable service into a complicated trial by fire promising years of pain and struggle in return for little hope of success. With the help of those who’d gone before me, I’d finally broken the spell the myth of entrepreneurship had cast on me. Entrepreneurs should be serving a market by addressing a need – like solving a painful problem – and selling their solution before creating their product or service. If this sounds at all alien to you, or even downright impossible, that’s understandable. It certainly threw me for a loop when I discovered it. But when I considered the alternative, I was willing to give it the benefit of the doubt. To make things a bit more concrete, here’s how my book example would have looked had I known then what I know now. First, I would have gone to teachers and parents and asked what problems their students/children were experiencing. I would have dug deep until I found something that was really holding them back. Whatever that would have been, I would have worked with them to design the ideal solution while cultivating a customer base primed to purchase what I’d create. Next, I’d make an offer to those most eager for the solution to receive it faster – and/or with more favorable terms – in exchange for the money to fund the creation of the product or service (which is entirely possible if you’ve built up enough trust, and have a desirable enough solution). Contrast this with the path I took only a few years earlier. That one brought frustration, confusion and uncertainty while this one virtually guarantees success. Much, much faster. The way of the successful entrepreneur also makes selling so much easier because you’ve solved a problem you know people are willing to pay for. With your market! That means there’s nothing to push onto customers. In fact, they’ll be begging you to sell your solution to them! Honestly, great salespeople only want to sell things to people eager to buy them. Wouldn’t you rather shoot fish in a barrel, too? If you’re still with me, your homework is to master the formula of solution to painful problem → sales → product/service from the best. I want you to join the mailing list of Perry Marshall, one of the greatest information marketers in the business right now, AS WELL AS the mailing lists of three other leaders in completely unrelated industries. Search Google until you find pages with email opt- in boxes (those little forms where you put in your name and email address to instantly get access to some beneficial gift). Open all of the mails you receive, study their systems, notice how they write, read between the lines and get sold! Disappointed by the failure of my book, I turned, as most beginning entrepreneurs do, to the next “can’t miss” idea. EnglishAnyone.com began as a way to leverage the lessons I’d created for the classroom. It’s since become my English lesson laboratory and personal business school. EnglishAnyone.com helps students speak fluent English clearly, confidently and automatically. 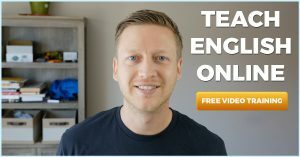 We have over 200 video lessons available on YouTube, and produce a premium, monthly video course called Master English Conversation that uses our innovative Fluency Bridge method to help learners who struggle to speak finally become fluent. First of all, Happy (belated) New Year to all my wonderful readers! I receive many emails from fellow teachers each day, and love hearing about your situation, what you want to achieve, and your successes. Keep the emails coming! 2013 was a great year for me. On a personal note, our son Thomas was born in August and having him has brought us so much joy. Things have obviously changed a lot since then, but as you’ll see later in the post, having a baby around the house can actually improve productivity! The best decision I made professionally was to focus on making and cultivating relationships; I have made some great connections with other online teachers which has led to some really incredible opportunities and new learning experiences. Here is a summary of what I have achieved and learned in 2013. I improved the lessons that I gave: I always talk about how going freelance gives you the ability to experiment and grow as a teacher. Well, I took my own advice and added some new features, experimented with different techniques, and made my lessons even more specific to each learner. I now give my students personalized audio every week that focuses on them getting past their common mistakes. I recommend that they listen a couple of times a day, every day. My students love it, and it means that they can hear my lovely voice wherever they go! I started making videos on Youtube: I now have five videos on Youtube and the response so far has been really positive. I love making the videos (although it does take a lot of time and can be frustrating, especially when you forget to record the audio!) as I can throw all my creative energy into each one. It has definitely given me more exposure and I have had many lesson requests from leaners who found me on Youtube. I have also noticed that my videos are shared much more than my blog posts. I got serious with email: I started a free email course that received nearly 500 subscribers. Most came from a guest post that I wrote for Vocabla. I created an automated email course that subscribers received each day for 30 days. I tried to make it as informative and inspiring as possible, giving away a lot of value (marketing speak) and responding to each email that I received. I have now made it about 20 emails over 30 days as I got some feedback saying that an email a day (which included action to be taken) was too much. As I gave out some really great information and responded to each email, I feel that I have a lot of dedicated followers. When I now email my list with new posts or videos, I get a lot of feedback and shares. I have also received a lot of lesson requests from this list. The soft-sell approach has worked really well in this case. I started this blog! : Starting this blog has not only allowed me to teach online, but to help me get my thoughts on marketing and teaching organized. Writing has been wonderful for me in general. I try to write a little each day whether it be a new post here, on my teaching site, or writing other materials and plans. I made some really great connections: Connecting with other teachers has been incredible. I started this whole online thing with a lone wolf mindset, and thought that other teachers were competitors (keep away from MY students!). But, connecting with others has brought me into a whole new connected world. As I mentioned, this has brought new opportunities (such as being part of a wonderful MOOC on Wiz IQ). To use social networks, you have to be social: I used to just copy and paste my links into Facebook groups, on Twitter, and Google Plus. But, to really get a lot out of these networks you have to adapt your message, ask questions, and interact. I also try to make my artwork standout instead of just using a simple picture (or no picture at all). Visuals are becoming so much more important now due to the vast amount of posts that people see each day. My son has made me more productive: Having a baby and stay-at-home wife around the house has forced me to change my working habits. I get up A LOT earlier than I used to (I got up at 5am this morning), take care of the morning type stuff, and then get to work. I have about three hours in the morning to do my non-teaching work, with an hour break changing/playing with/looking after Thomas the baby. I then usually teach from 11am to 4pm, and after that it’s family time again. I get a an hour or so at about 8pm to read a few things and do a bit of this and a bit of that. Before Thomas came into our lives, I was nowhere near as focused. Having a baby not only makes you more productive (by having less time to work on things, I get them done instead of procrastinating), but it also has given me a big boost of motivation to move my business onto the next level instead of just coasting. Which helps us move on to the next section: 2014! I have a lot of projects planned for 2014, all of which are focused on finding different types of income instead of just one-to-one teaching. I love my one-to-one lessons and I have learned so much about the problems that students have through these lessons. I now feel that I have enough knowledge to branch out and enter the world of podcasting, group courses, and other products. Podcasting: I have the microphone, the recording software, and, as I’ve been told, the voice to make it big in the world of podcasting! I also have a very willing and American sounding wife who will bring an entertaining dynamic to our new shows. We want to create a fun show for intermediate speakers and up that is based on conversational English. The inspiration has come from many other podcasts, but mostly from Notes in Spanish (If you’re learning Spanish, I highly recommend this podcast). I received an email from them the other day that said that they have had over ten million downloads. TEN MILLION! It blew me away. If we can get just one percent of that in the first year, and a certain percent of those buy our product, then, well.. let’s not get carried away. Instead, I’m looking at it as an adventure and it’s going to be a lot of fun! More videos: I love making videos and I’m going to experiment with different ways to approach this. For example, I want to make more videos that help learners take charge of their learning. I also received a request from a student to introduce more vocabulary. So, there is a lot to be explored. I don’t currently monetize my videos on Youtube, but I may look at doing this in the future. At the moment, I use it to drive people to my email list and as a way to better connect with English learners. More email focus: I’m going to make my email list a priority again this year. 2013 was when I truefully understood how important it is to have people subscribed to your email list. I’m going to offer more freebies and specifically target areas that are included in my niche. I also redesigned my site so that users know the one action that I want them to take: to sign up. My design before had buttons everywhere and this led to confusion. My sign up rates have doubled as a result of this change. More niche focus: Niche, niche, niche.. I think this is the most used word on this blog. But, it’s so important, and I’ve found myself falling into an even more targeted niche over the past 12 months: a language coach. I love language learning in general, and I’m also interested in the personal development world, so a lot of what I enjoy writing about now is how English learners can improve through self-study. I’m also staying with my exam preparation lessons as as preparing students for exams makes the lessons more focused and it naturally has an end point. In a lot of cases, it also makes a huge difference to the lives of my students. Seeing pictures of my formerly frozen Russian students sunbathing in Australia also gives me the sense that I’m doing something worthwhile! Group lessons and MOOCS: I’m currently putting together a group course that focuses on the change of mindset that is needed for learners to make progress and how learners can do this on their own (with a little help of a certain teacher through online lessons 😉 ). Doing courses such as these will help me scale my income and will ultimately mean that I can teach less hours. Continue this blog: .. and complete my guide. I have the first draft more or lesson finished, but there is still a lot to do. I want it to offer A HUGE amount of value (marketing speak again). I’m not putting a date on it, but if I had to guess… no, I’m not even going to give an estimate. I’m going to change ten years to one year, and voila, I feel much better. In fact, if I look back to what I achieved in 2013, the majority was done in the second half of the year (after Thomas was born), and was all due to a change of mindset. The three hour window that I have each day to do my creative work and marketing doesn’t seem that much. But, over a year, I can get a lot done. So, instead of feeling overwhelmed with my projects and then doing nothing, I just focus on what I can do right now to keep myself going in the right direction, and try to enjoy the process as much as possible. And, if you are starting to think that this focus can be applied to learning languages and that I’m going to include this advice in my self-study course, then you are most certainly correct!